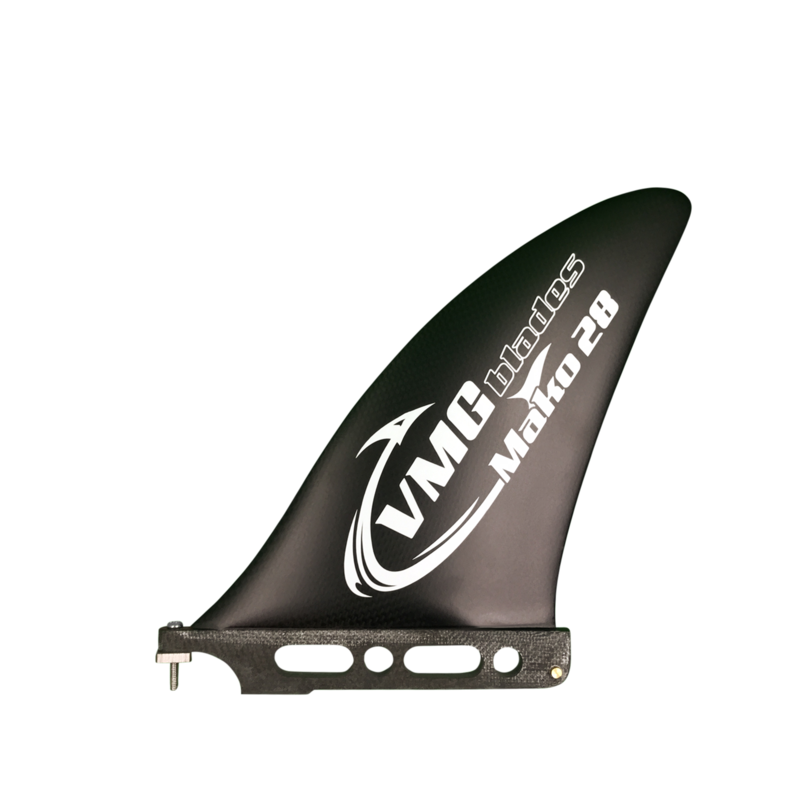 Mako 28, the team demanded even more responsivenesse, tighter turns, more agility, more surfing, and as a result we put the Mako 28 into production, and we were very quickly rewarded with a World Championship. The outline has been optimized for maximum agility, and low drag. This is the fin chosen by Casper Steinfath, James Casey, Matt Nottage and Kenny Kaneko. The light weight,shorth length, narrow width, and optimized foil design and thickness ratio allows you to surf your raceboard like never before, spin on a dime, accelerate quickly, and get you on more bumps and stay on them longer. The fin with maximum agility, cutting the tightest turns, and letting you place your board exactly where you want it. What is the Velocity Made Good Concept? How to choose my fin? What do you want most out of a fin – Speed, Stability or Agility? Which conditions or events will you predominantly use the fin? How much stability do you need?